Japanese Ink Stamps: Not Just For Craft Nerds! 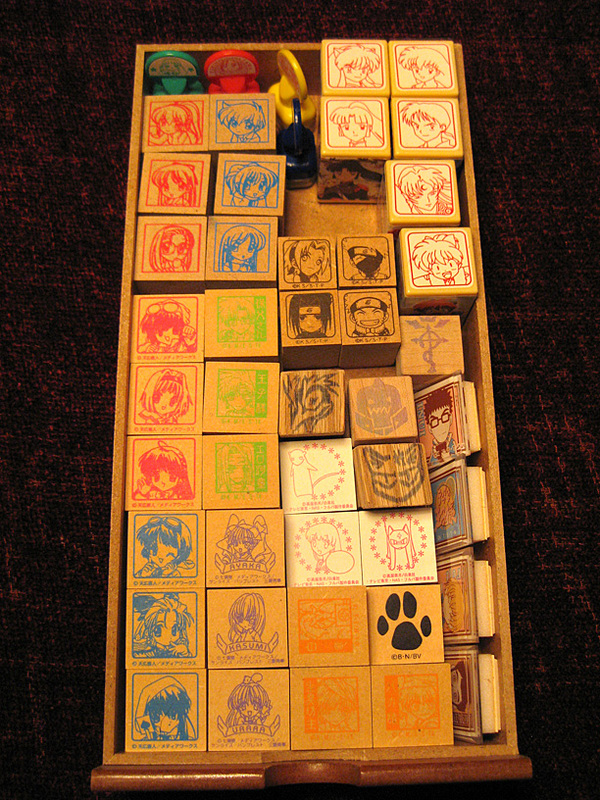 One of the more unusual items that I have a passion for collecting are anime-themed rubber stamps. Unlike stickers, ink stamps last “forever” and can be used again and again on letters, cards and other documents. My obsession originated from swapping letters with my penpal, Vanima. She has quite a talent for papercraft and her letters are always exquisitely (yet tastefully) decorated with glitter, stickers and of course, anime stamps. Inspired by her creativity, I started to build up my own collection of anime character stamps as well in order to make my letters more visually stimulating! Drawer #1 contains some roller stamps (Kare Kano and Cardcaptor Sakura), plastic-mounted stamps (Inu Yasha gashapon, Prince of Tennis), foam rubber-mounted stamps (Fruits Basket) and wood-mounted stamps (Sentimental Graffiti, Seraphim Call, Naruto, Saiyuuki, Tokimeki Memorial, Wolf’s Rain). There’s also 4 hand-carved stamps which were made by luvmegabyte on deviantArt. 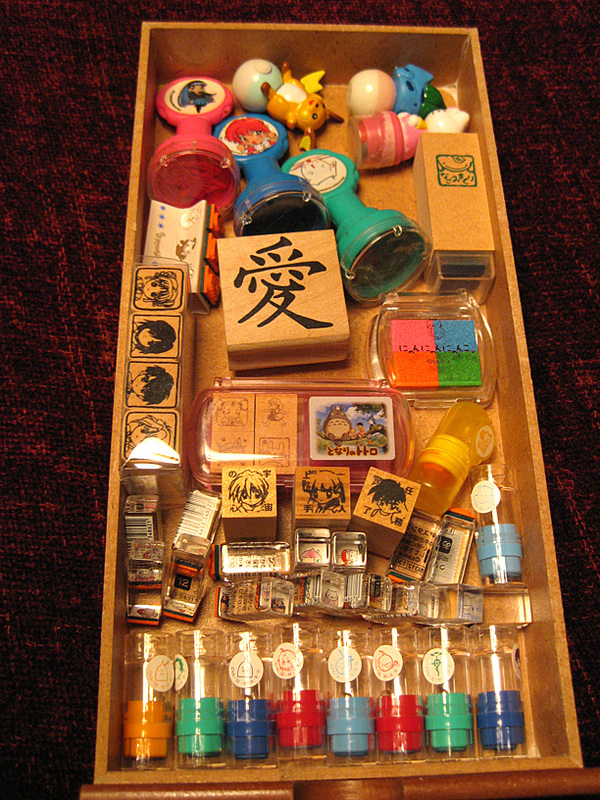 Drawer #2 contains many of my miniature stamps. 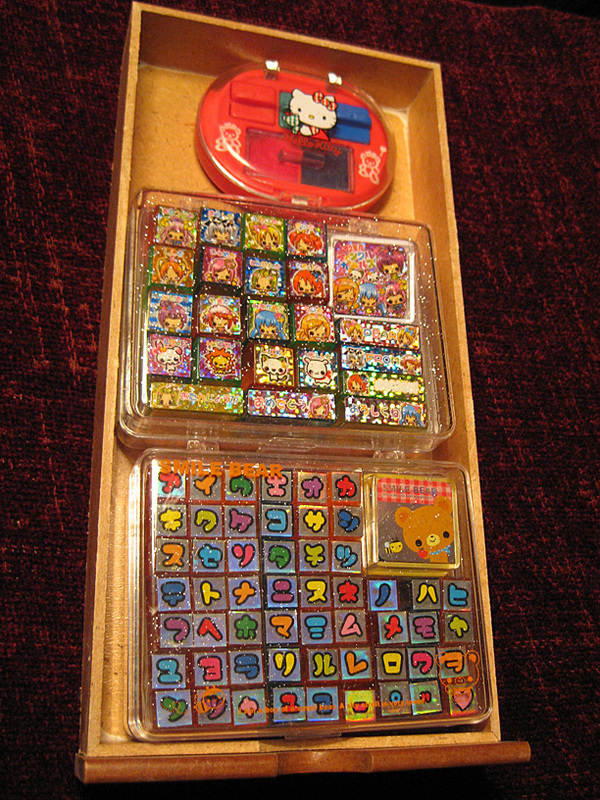 The little square ones scattered about are San-X Nyan Nyan Nyanko stamps. 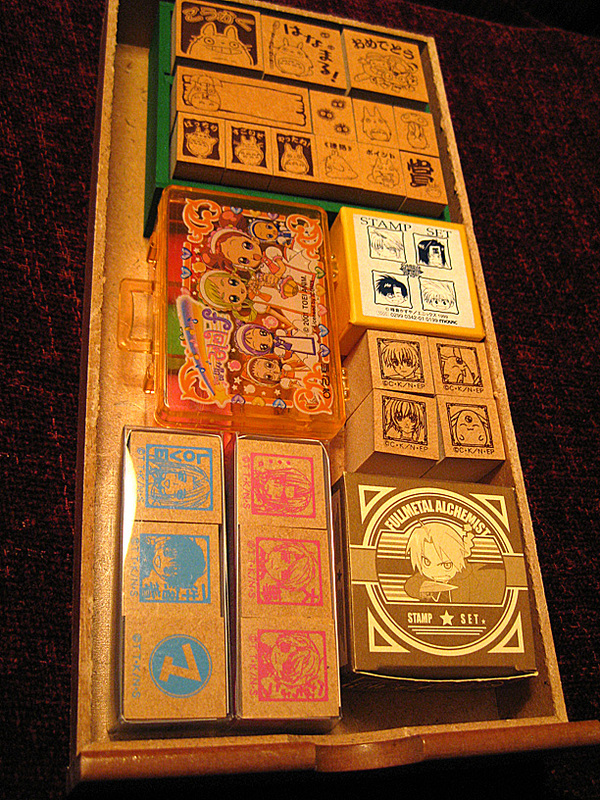 The cylindrical ones all along the bottom are self-inking Fullmetal Alchemist stamps. 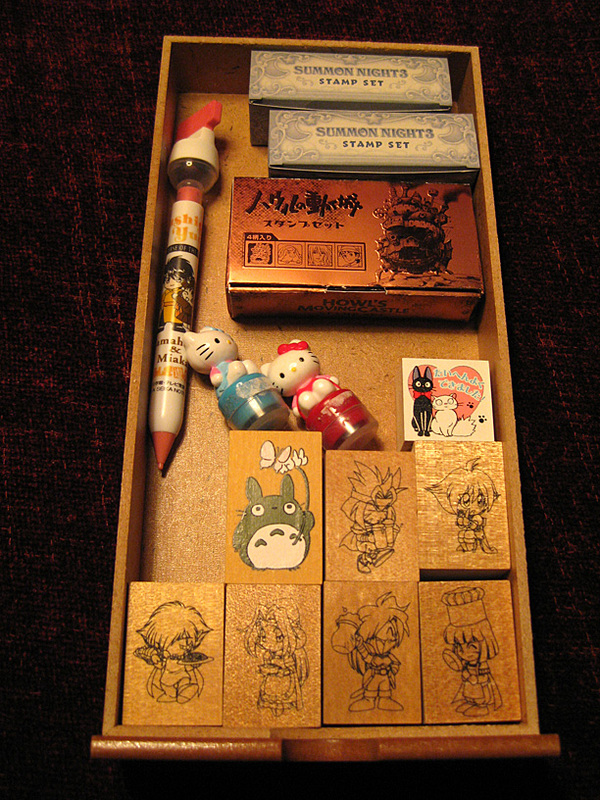 There’s also wood-mounted miniature stamps from Gundam Wing, Fushigi Yuugi and Tonari no Totoro. 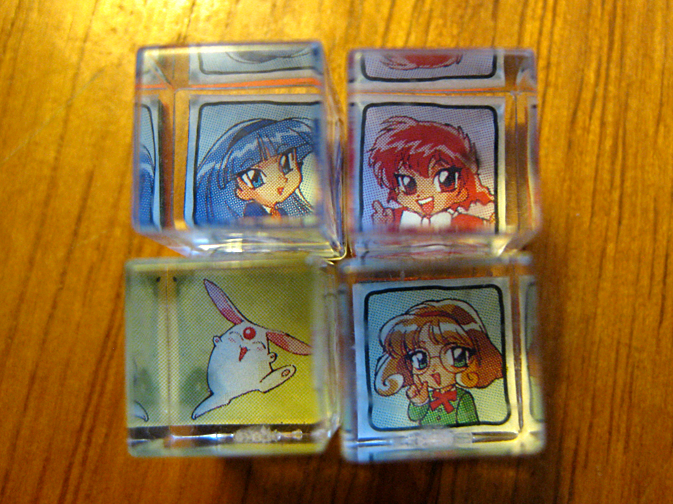 The larger, self-inking Magic Knight Rayearth stamps are very cheaply made and I imagine they were sold as gashapon or at convenience stores. I love them nonetheless. There’s a little group of 3 Marmalade Boy character stamps mounted on cardboard that Vanima gifted to me. I adore them! I imagine they were given as a furoku in a phonebook manga to be mounted on cardboard. 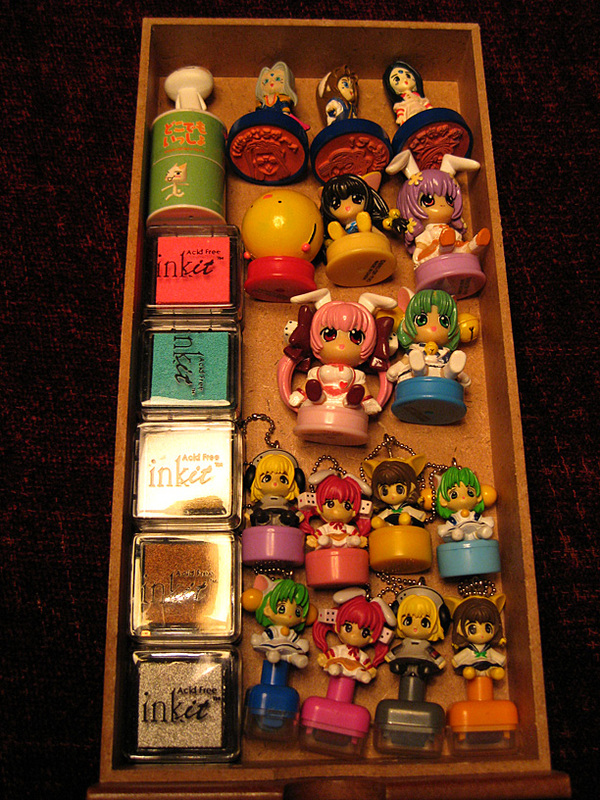 Drawer #3 mostly contains Di Gi Charat stamps, if you can’t tell. There are even more Di Gi Charat stamps that were produced that I really want and cannot find anywhere. (Help me find them?!) I got 8 of them from Anime Gamers’ U.S. store website when it was functional. The top 3 Ah Megami-sama stamps came with a limited edition video game in Japan. I bought them off of my friend Dave since he never used them. Then there’s that creepy Dokodemo Issho cat thing. 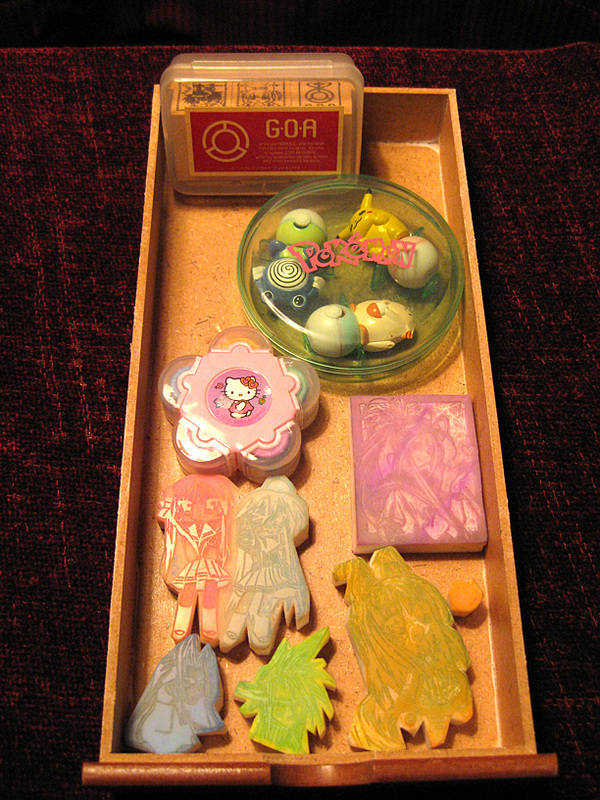 Drawer #6 contains Pokemon and Hello Kitty Rollers, a set of Candidate for Goddess and a number of hand-carved stamps. While these stamps are difficult to show you because of how they are made, they are undoubtedly some of the most beautiful and treasured that I own. I discovered them on eBay one day and I ended up purchasing almost every stamp listed by the seller at the time because I was so impressed with them. I have since made friends with the stamp artist, Yoshito, and I plan to commission him to create some stamps of my favorite characters in the future as well. They are so exquisitely and professionally carved, you would not believe it. The stamps I have here by him are of Belldandy (Ah Megami-sama! 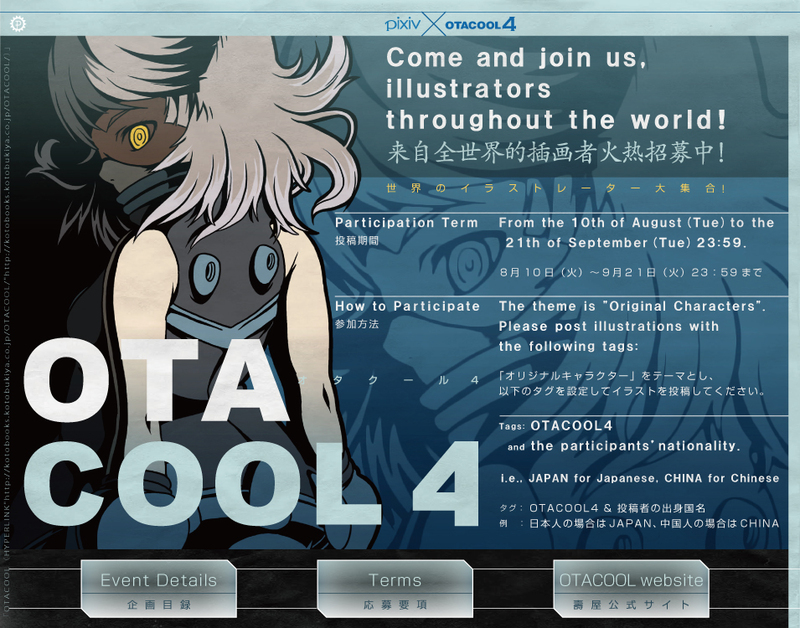 ), Horo (Spice and Wolf), Konata and Kagami (Lucky Star), Cloud (FFVII) and Sephiroth (FFVII). They are amazing! If you ever wish to have a handmade stamp, I will refer you to Yoshito. He is very happy to have new customers and is a remarkably friendly fellow! Drawer #7 is the last drawer (for now) and it contains a very old set of Hello Kitty stamps as well as a set of katakana (I love this!) 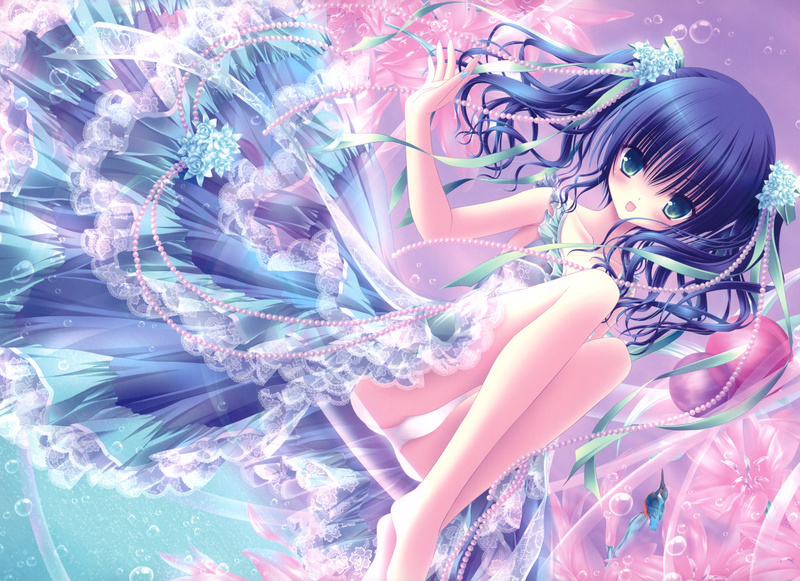 and a kawaii girl themed Western Zodiac set. I’d like to get my mitts on a hiragana set (I know there is one!) but I have yet to find it for sale. In case you are wondering about the “drawer” thing, my stamps are kept in a very sturdy wooden set of drawers that I purchased a number of years ago at The Container Store for around $40. They are long and deep, and could not be more perfect for storing my collection! I hope you’ve enjoyed this little look into my rubber stamp world. You can actually find much more detailed descriptions of each stamp, along with translations of the Japanese ones, in my Japanese Stamp Collection gallery on Flickr. Unfortunately, my collecting of anime stamps has slowed to a near halt because of the sheer fact that anime stamps are rarely produced anymore, save for those by Studio Ghibli. While the Ghibli stamps are of remarkable quality, they are also very expensive and continuing to order every set of them would likely take away from the variety in my collection. It seems that from now on, my stamp collecting will end up being limited to searching for rare out of production stamps from the ’90s on eBay and Yahoo Japan auctions.